Jimi Hendrix: The soul behind rock music Hendrix transcended rock music infusing a style and sound that will never be forgotten. The name Jimi Hendrix might not ring the same to everyone, but one thing for sure is when you hear the name you will never forget it. Born Johnny Allen Hendrix, November 2, 1942 in Seattle, Washington, to James Allen “Al” Hendrix and Lucille Jeter, he was later renamed James Marshall Hendrix after an uncle. Growing up in Seattle, he had a rough child hood, constantly moving around and living with different family members. His parents got divorced when he just nine years of age and his mother died when he was 15 years of age. Hendrix’s father Al didn’t react well to the death of his ex-wife. It was so bad that he didn’t allow his children to attend their mother’s funeral and he didn’t attend either. It was during these tough years that “Young Jimmy” as they called him, took to music. His father would catch him pretending to play an air guitar while sweeping and doing chores. It was so bad that young Jimmy didn’t finish chores half the time. The air guitar was a sign. It is as if destiny broke the shackles off of Hendrix and pointed him in the direction of music. This led to Hendrix’s father buying him his first real guitar. He bought him a five-dollar, second hand acoustic guitar. Once he owned a guitar his world opened up. Hendrix immediately teamed up with friends and started playing. Family and friends are on record as saying they always felt he was destined for greatness because he was wise beyond years. His brother Leon describes him as a “prophet.” Most of his family felt that if he had been given an opportunity to attend a college, he would have excelled beyond measure. He took an interest in music, drawing influence from virtually every major artist at the time, including B.B. King, Muddy Waters, Howlin' Wolf, Buddy Holly, and Robert Johnson. Entirely self-taught, Jimmy's inability to read music made him concentrate even harder on the music he heard. At age 17, he joined his first band, The Velvetones. After a three-month stint with the group, he left to pursue his own interests. The following summer, his father purchased Jimmy his first electric guitar, a Supro Ozark 1560S; Jimi used it when he joined The Rocking Kings. In 1961, Hendrix was expelled from school and began working with his father which only strained their relationship. After a sever altercation with his father on a job-site, Jimmy left home to make it on his own. He ended up getting into trouble with the law so with nowhere to turn he found a way out of his circumstance by joining the United States Army. In November 1962, Hendrix earned the right to wear the "Screaming Eagles" patch for the paratroop division. After his initial success in the army he got restless while stationed at Fort Campbell, Kentucky. Hendrix missed playing music so dearly he finally convinced his father to send his guitar to Fort Campbell. Once Jimmy got his guitar back he formed a group called, The King Casuals with bassist Billy Cox. After about 13 months, Hendrix was discharged from the Army by pretending he hurt his back during a parachute jump. He did actually break his ankle during the jump but had to embellish his back pain in order to get discharged from of what he called a “boring” experience in the Army. Nashville, Tennessee is where Hendrix started working with a band after his discharge. Similar to his army experience, he got bored with waiting around so he left the group because the group didn’t like to travel outside of Nashville. Never one to sit still for long periods of time he decided to move around a bit until he ended up in New York. There he got the opportunity to play at the world-famous Apollo Theatre and actually won first place which back then paid $25 to the winner. As Hendrix began making a name for on the music scene, he got a great gig playing with The Isley Brothers. Like many things in life, Jimmy got restless and once again decided to go out on his own and make a new way. He landed a great gig performing with B.B. King, Jackie Wilson and Sam Cooke. By 1965 he was consistently touring the “Chitlin Circuit,” which at that time was considered the major Black circuit for popular R&B and Blues acts. Hendrix played alongside greats such as Ike & Tina Turner, Wilson Pickett and Little Richard. Each stint was brief as Hendrix could never stay in one place for too long. Hendrix then formed his own band, Jimmy James and the Blue Flames, shedding the role of back-line guitarist for the spotlight of lead guitar. Throughout the latter half of 1965, and into the first part of 1966, Jimmy played the rounds of smaller venues making a legendary impact in Harlem and in the Greenwich Village community. During the period of the psychedelics 60‘s, Hendrix started experimenting with many different drugs and mainly LSD (Lysergic acid diethylamide). His peers were amazed at the amount he could take and still function. 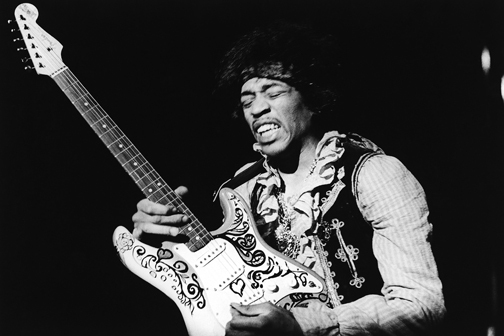 Many people credit the psychedelic drugs for taking Hendrix’s music to heights. If you had asked Jimi Hendrix why his music was psychedelic in sound he would have told you that science fiction was responsible for his musical inspirations. Hendrix owned an extensive catalogue of science fiction books. He loved the subject matter dearly. He wasn’t shy about sharing his interest on aliens and the UFO phenomenon. September 1966, he signed an agreement that would have him move to London to form a new band. He then changed his name to “Jimi,” and with drummer Mitch Mitchell and bassist Noel Redding, the newly formed Jimi Hendrix Experience quickly became the talk of London in the fall of 1966. Hendrix’s time in London was the best time in his life because the London public was more excepting of his flamboyant and radical style than the American public. London actually claimed Jimi as their own because America didn’t except him and understand him quite like they did. It was during this time where the official Jimi Hendrix arrived as a superstar amongst the world stage. The Experience's first single, "Hey Joe," spent ten weeks on the UK charts, topping out at spot No. 6 in early 1967. The debut single was quickly followed by the release of a full-length album Are You Experienced, a psychedelic musical compilation featuring anthems of a generation. Are You Experienced has remained one of the most popular rock albums of all time, featuring tracks like "Purple Haze," "The Wind Cries Mary," "Foxey Lady," "Fire," and "Are You Experienced?" In June 1967, Hendrix set off a bomb when he erupted the crowd at the Monterey International Pop Festival with arguably his most famous performance. It was in Monterey where Jimmy Hendrix literally set his guitar on fire with lighter fluid and sacrificed his guitar in front of thousands on stage. The moment Hendrix created is considered one of the greatest, if not the greatest Rock & Roll moment in music history. He performed "Wild Thing,” and once word got out of how this man rocked and shocked the crowd there was no limit to his popular appeal. The Jimi Hendrix Experience became one of most popular and highest grossing touring acts in the world. Hendrix followed Are You Experienced with Axis: Bold As Love. By 1968, Hendrix had taken greater control over the direction of his music. He was noted for a historic tour with The Monkey’s which introduced Hendrix to a commercial U.S. audience. He went on that year to sale over 1 million records in America. Many would say this was this pinnacle of his career because at this point, his fame stretched clear around the world. There was no place he couldn’t tour around the globe. Everyone wanted a piece of Jimi Hendrix and with the extensive work schedule he kept up with, he was everywhere he needed to be and then some. Only so many artists in music history get to be known on several continents by their first name. He was known as “Jimi.” This is why he is one of the more popular artists in music history because this all took place in just four short years. Playing the legendary Woodstock festival in August 1969, Hendrix was the headliner and he joined forces with Gypsy Sun & Rainbows (Band of the Gypsys) featuring Mitch Mitchell, Billy Cox, Juma Sultan and Jerry Velez. The Woodstock performance was highlighted by the renegade version of "Star Spangled Banner," which brought the mud-soaked Woodstock audience to frenzy. Hendrix was delayed 6 hours before he performed that final day at Woodstock but his performance is still considered the highlight of the entire event. Close to half of the audience was absent during his set but it didn’t matter because he still gave the best performance during Woodstock. With drugs and touring taking its toll on Hendrix lifestyle, his most demanding project was a two LP collection, Electric Ladyland named after his studio in New York. Living spiritually and searching for answers musically was what Jimi was about and in 1969 was he continued his evolution bringing a new and defining collaboration featuring Jimi Hendrix on guitar, bassist Billy Cox and Electric Flag drummer Buddy Miles. This trio launched a series of four New Year's performances on December 31, 1969 and January 1, 1970. Highlights from these performances were compiled and later released on the quintessential Band of Gypsys album in mid-1970 and the expanded Hendrix: Live At The Fillmore East in 1999. 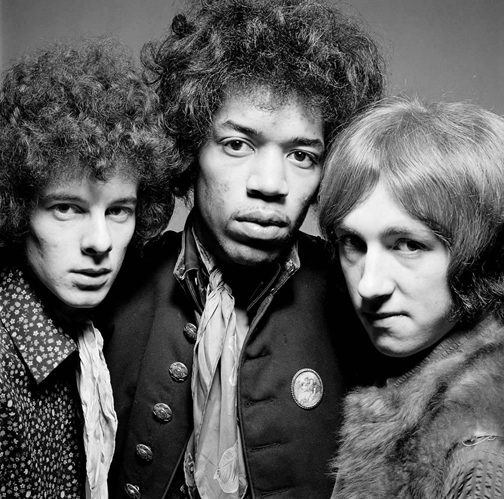 As 1970 progressed, Jimi brought back drummer Mitch Mitchell to the group and together with Billy Cox on bass, this new trio once again formed The Jimi Hendrix Experience. In the studio, the group recorded several tracks for another two LP set, tentatively titled First Rays Of The New Rising Sun. Unfortunately, Hendrix was unable to see this musical vision through to completion due to his hectic worldwide touring schedules, then tragic death on September 18, 1970. Hendrix was just 27 years old when he passed away. There are many rumors surrounding his death because the woman who was allegedly there with Hendrix the night he overdosed, committed suicide weeks later leaving skeptics with many unanswered scenarios. 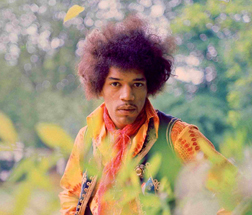 Fortunately, the recordings Hendrix slated for release on the album were finally issued through the support of his family and original studio engineer Eddie Kramer on the 1997 release First Rays Of The New Rising Sun. Jimi Hendrix is a musical legend who helped transform rock music and blend genres together like no one has ever done before. There will never be another Jimi. In just four years on the music scene he became one of the greatest musicians the world has ever seen.